Peterborough Green Party has announced the selection of parliamentary candidates for Peterborough and North West Cambridgeshire following a ballot of local party members. 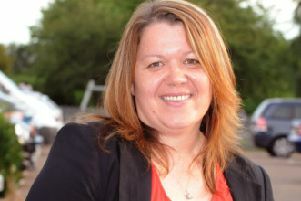 The candidate selected for Peterborough is city resident Fiona Radic, who is married with two daughters and is a founding member of Peterborough Green Party. She said: “I would love to represent Peterborough in Parliament. I am very fond of Peterborough, but I think it suffers from stuffy politics that can hold us back. The candidate for North West Cambridgeshire is Gregor Guthrie, a civil engineer working in flood risk and coastal management. He lives in Deeping Gate. Mr Guthrie said: “I want to make a difference, changing attitudes and changing politics. Incumbent Stewart Jackson (Conservative) is so far the only confirmed candidate for Peterborough, with Beki Sellick of the Liberal Democrats expected to be running against him. However, the party has not yet confirmed its local candidates. UKIP is not putting up a candidate in Peterborough as it wants Brexit campaigner Mr Jackson to win the seat, while Labour has yet to announce its candidate. In North West Cambridgeshire, incumbent Shailesh Vara (Conservative) is running against UKIP’s John Whitby and Liberal Democrat Bridget Smith.